There are approximately 54 million people in the U.S. that are affected by disability, with estimates of 80% who are un-reached and do not attend a Christ honoring church. Yet, less than 10% of the churches in the U.S. have an intentional disability ministry or outreach. In this series, we will uncover common fears, myths, and misunderstandings that many churches face when beginning a disability ministry. There are many different images in the Bible about heaven, some of which are confusing. So what will Heaven be like? 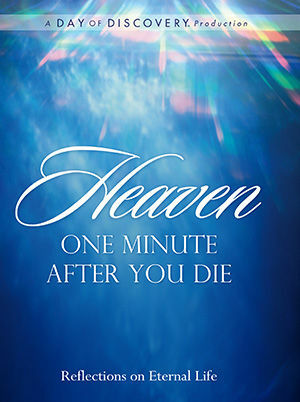 Special guest Joni Eareckson Tada joins the Day of Discovery team, as Heaven—One Minute After You Die gives you a taste of what a wonderful place heaven will be. More importantly, she will help you know how you can get there. Joni grew up in Baltimore, Maryland. She loved the ocean, and the power and freedom of riding horses. Then the unimaginable happened. Just after high school graduation, a dive into unfamiliar water changed her life forever. She was seriously injured with no hope of walking again. See how tragedy turned into triumph, and how Joni has reached out to help other disabled and struggling souls. Have you ever suffered physically, emotionally or spiritually and wondered why? Do you have family members or friends with disabilities and struggle to know what to say or how to act around them? People with disabilities are considered one of the world's largest under-represented groups. The church is largely unprepared for the burgeoning disabled population. 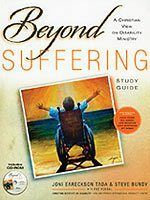 One of the primary goals of the Beyond Suffering Course is to address this issue by preparing leaders in ministry, education, medicine and science to become involved in this life-changing ministry. 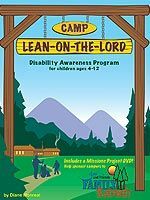 Children with special needs often don't fit into typical children's church programs, resulting in frustration for parents, children and the churches themselves. And yet it is crucial that all children are given the opportunity to meet Jesus as their Savior and Lord. 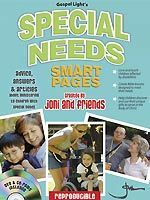 Joni and Friends meets this vital need by providing churches a comprehensive resource to help them reach out to children with different needs, including autism, cognitive brain disorders and physical disabilities. Never before has it been so important for Christians like you to discover the answers God’s Word holds to our culture’s biggest ethical and social dilemmas. Every day, the 24-hour news cycle offers stories from around the world of unimaginable physical, mental and emotional suffering. Yet more often than not, these stories and the underlying problems they represent are reported with no suggestions for resolution. Can it really be true that there are no solutions to our world’s biggest crises? 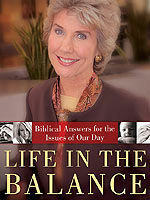 Joni Eareckson Tada refuses to believe it. On her TV show, she has interviewed scores of people who have faced life’s toughest battles and emerged victorious! In Life in the Balance, Joni and her colleagues take on difficult issues – abortion, autism, genocide, stem-cell research and others. But they don’t just tell the stories; they dig deep into the Word of God to find real and lasting solutions to so-called “unsolvable” problems. Their goal is to help you apply the timeless yet timely truth of God’s Word to society’s greatest challenges. 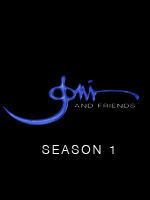 5 Daily segments introduce children to Joni and Friends Family Retreats and encourage them to participate in the Fishers of Men Missions Project. 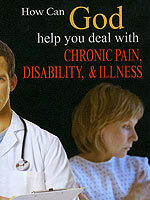 How Can God Help You Face Chronic Pain, Disability, & Illness? When you talk to friends or family, how many times does the conversation turn to people you know who are encouraging painful situations in their life or in the lives of those close to them? All around us, family and friends are suffering from severe chronic pain, disability, illness (sometimes life-ending), discouragement with life, heartache, and depression. In such situations it is natural to ask, "What help does God provide on a daily basis when I am suffering?" In this series of three programs, you'll experience the inspiring stories of Joni Eareckson Tada and Michael Easley, along with what the Bible shares about the reasons for suffering and how God helps in our times of pain. God does not allow pain in our lives without reason. He also doesn't leave us without hope or His presence. The question is not "Why?" but "How can we live with the sufferings of this life?" 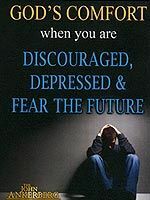 What help does God offer when you are discouraged, depressed, or fear the future? In this episode you'll hear from two gifted individuals uniquely suited to discuss how God can help us through pain, suffering, and discouragement- Joni Eareckson Tada and Dr. Michael Easley. Dr. Ankerberg talks with Joni and Michael about three neglected issues facing those who suffer. First, "How do you go on when all of the props are knocked out and there is nothing but you, God, and pain?" Second, "Does the Bible teach that it is God's will to heal all those who truly come to him in faith? Is it always a given that He will say yes to our requests for healing?" Third, "How do you keep from going back into depression when you experience setbacks? How do you conquer the fear of what lies ahead when your strength is failing? And what promises does God make to us of eternity with Christ and a new body free from pain?" These and many more questions are discussed with honesty and biblical hope for all those facing the uncertainites of life now and in the future.